While I can definitely appreciate art in museums, I never considered myself to be “arty” so to speak. I can be creative when I want to be, but creating works of art aren’t typically my thing. And how that translates into bringing art work into my home is similar. I don’t seek out artwork, but when something hits me/speaks to me, whatever you want to call it, I can’t stop thinking about it. Like most people, my first experiences with buying art were partly influenced by what my parents liked (they were paying after all!) and what I gravitated to at the time. In my childhood days, big and bright colors and in my adolescence and adulthood years, a lot of the artwork I picked up were on my travels. I have several paintings from a trip I took to Southeast Asia years ago that I still love. 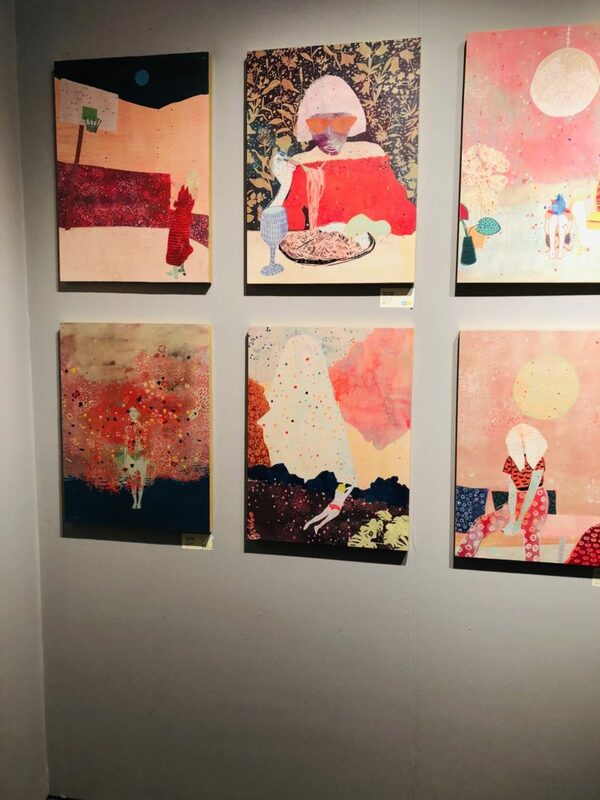 In fact, aside from the one-off smaller drawings and paintings I may have picked up from farmer’s markets and art festivals at home and while traveling, I hadn’t bought a “big” piece of artwork since my Southeast Asia trip. Until last month, when I went to Superfine! DC. 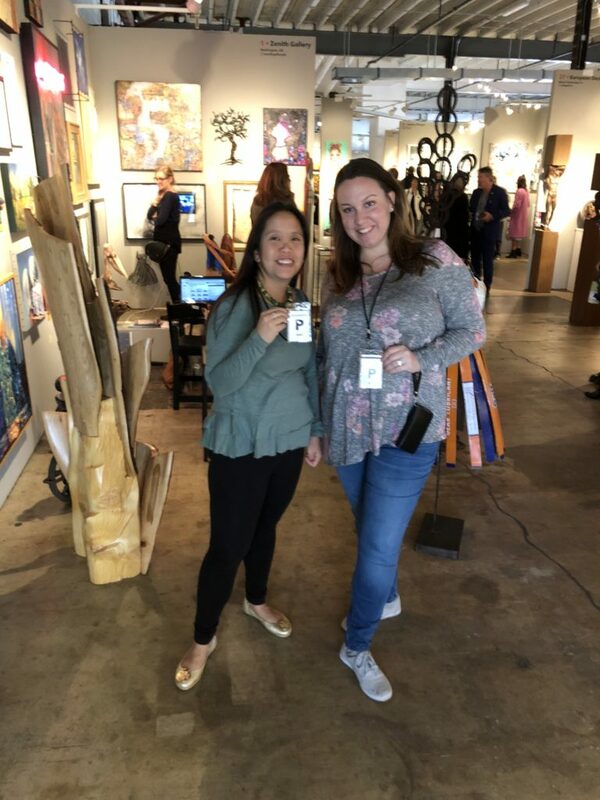 I wasn’t even planning on buying anything at this art fair (especially as I had spent months packing up and gifting all my late-mom’s artwork – she loooveed collecting art – to people after I picked a couple pieces that were more my style. What can I say, mom had an eclectic flair for her artwork!) But then this “mixed media” piece grabbed me. I actually didn’t buy it at the fair, though I was tempted to. I waited a full week after the fair and contacted the artist in Seattle because I was still thinking about the piece. “Just a Snack” by Emma Repp. 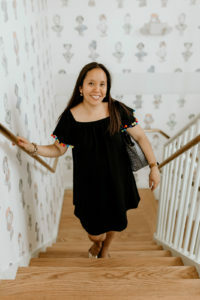 At first glance this may not seem like my style (and probably a bit more like my mom’s eclectic flair – ha!) but let me explain. 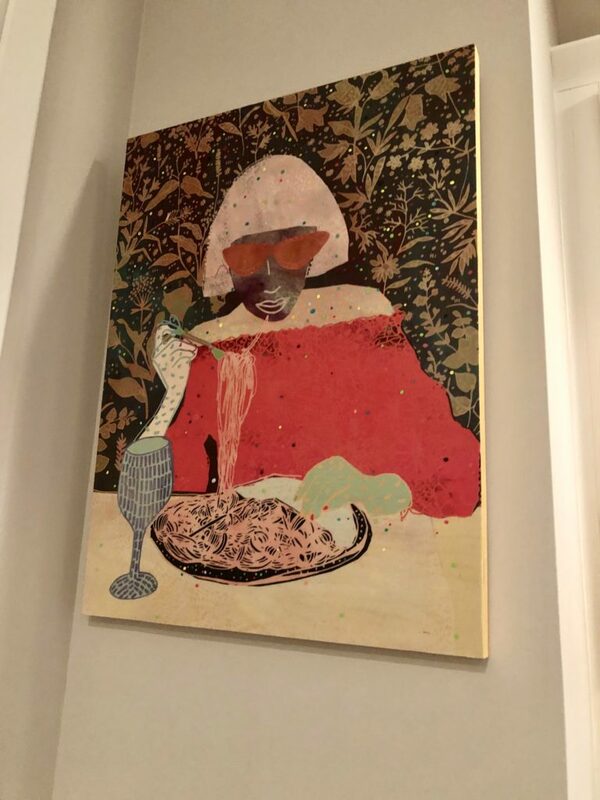 I gravitated towards the piece because of my insane love for pasta and because the woman in the painting reminds me sooo much of my mom. The hair, the sunglasses, the look. The colors are also eye-catching and pleasing. Whenever I look at it, I smile. It’s as if this was piece was made just for my mom and me. Hence to me it’s priceless and I absolutely adore it. So there you have it, I guess it’s true what they say about art-buying and loving. It doesn’t matter what it looks like, how much it costs, or if no else shares your admiration for the artwork, if it speaks to you and brings you happiness, that’s what matters. Emma sent me a really cool smaller print of hers when she mailed me my beautiful painting. I would love to give this to someone that shares the love for Emma’s work with me! Let me know in the comments if you are interested!